Yesterday was a gorgeous afternoon, with intermittent sun, temperatures in the 50s and that delightful smell of spring in the air. In other words, it was a perfect day to prune. 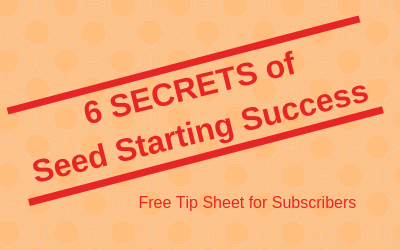 February and March are generally considered the best time to prune trees in the North. The weather is still cool enough that the trees are in their dormant state and they will have time to repair any wounds during the spring. February and early March were brutal this year, so I put pruning off until now. 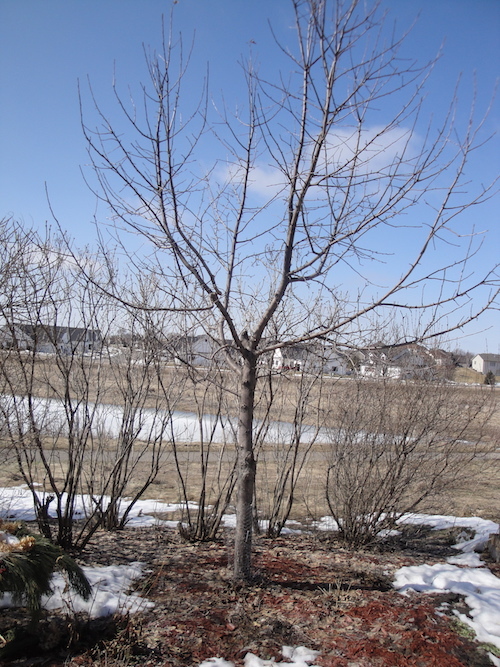 Earlier this week, I hired Cannon River Tree Care, a local tree company, to prune the big maple tree in my front yard. While I do as much plant care as I can myself, some jobs are just beyond my pay-grade – and climbing around 20 feet off the ground in a tree is one of them. However, the apple tree in my backyard is another story. This tree can be pruned from the ground, so I got out my bypass pruners and my pruning saw and tromped into the backyard to get started. A properly pruned apple tree at Thorncrest Farm. The middle is open and airy. I have not pruned this tree enough in its 10 plus years in our yard and the middle part of the tree was too thickly grown with branches. Earlier this winter, I took a pruning class at Thorn Crest Farm taught by Gary Vosejpka. The most important thing to remember in pruning fruit trees, Gary said, is to open up the middle of the tree. The old saying is you should be able to throw your hat through the center of the tree, if it is well pruned. After pruning, my apple tree has a more open center and should produce more and healthier fruit. Given that, my main task was to create some air in the middle of the tree. I picked one of the main branches that was plugging up the middle to take out. The pruning saw – my favorite garden tool – worked like a champ cutting through the branch, which was about 3 inches across. (Yes, it should have been pruned out about 5 years ago.) Getting the big branch out of the tree took a bit of pushing and snipping of other branches, but it eventually happened. What a difference just taking that one branch out made in the appearance of the tree! I did not try throwing my hat through, but it might have made it. Once the big branch was out, I used the bypass pruner to take off some of the remaining branches that were in awkward positions – pointing down or inward. I also took off a bunch of downward facing buds, since this tree tends to produce too many apples. Then I stopped. When I went out to take the picture of the tree, though, I noticed there are a lot more small branches that need pruning, so I’ll be doing that later this weekend. 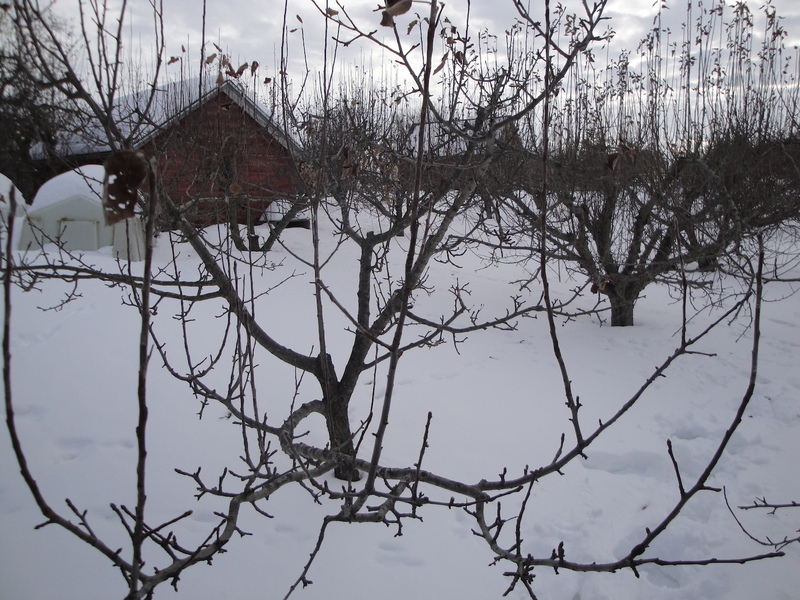 For more expert advice on pruning, check out this University of Minnesota fact sheet on pruning, or this series of videos from a delightful orchard owner in Britain.